How's it going, everyone? Tomorrow is the the GPS Week Number Rollover and (unlike 1999) we are pretty prepared for it – heck, we only had 20 years to plan! In recognition of week 1024 we have a ton of new GPS and GNSS options for you, including two new GPS breakouts utilizing the M8Q package, a six-in-one GNSS Antenna Evaluation board, a stand-alone GNSS antenna and a high-power RGB LED! As a reminder, tune in to our Youtube channel at 11 am MDT today for a Q&A livestream with the Google Engineer for TensorFlow Lite, Pete Warden, and SparkFun Founder and Engineer, Nathan Seidle, where they'll discuss all things SparkFun Edge, and will answer any questions you might have about the amazing new board! UPDATE: It's over! Watch the video here. Which GPS option will you choose? 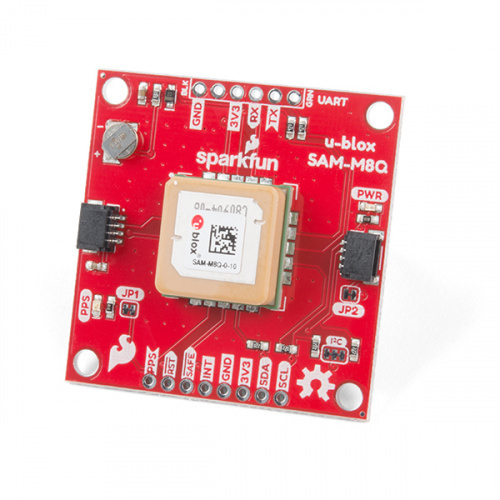 The SparkFun SAM-M8Q GPS Breakout is a high quality GPS board with equally impressive configuration options. The SAM-M8Q is a 72-channel GNSS receiver, meaning it can receive signals from the GPS, GLONASS, Galileo and constellations. This increases precision and decreases lock time, and thanks to the onboard rechargable battery, you'll have backup power enabling the GPS to get a hot lock within seconds! Additionally, this u-blox receiver supports I2C (u-blox calls this Display Data Channel), which made it perfect for Qwiic compatibility, so we don't have to use up our precious UART ports. Utilizing our handy Qwiic system, no soldering is required to connect it to the rest of your system. However, we still have broken out 0.1"-spaced pins in case you prefer to use a breadboard. 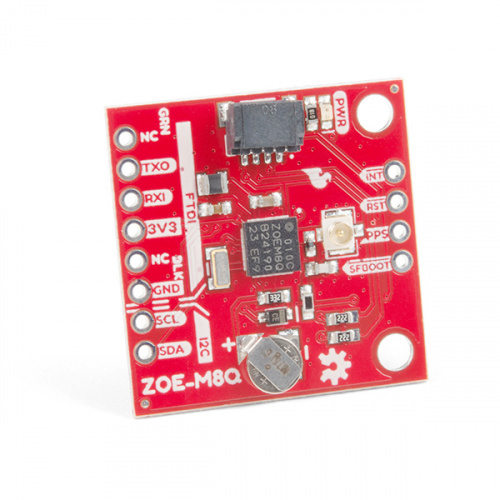 Of course, if you need a GPS breakout in a smaller package, we also offer the SparkFun ZOE-M8Q GPS Breakout! This board operates in almost the exact same way as the SAM-M8Q, but since the ZOE-M8Q is a tiny GPS receiver, and in order to minimize its footprint, we've added a U.FL connector to allow the use of both large standard ceramic antennas and very small chip scale antennas. What is the best chip antenna for your GNSS project? There are tons to choose from, but finding the right one might be tricky, so here's a board that helps make deciding easier. 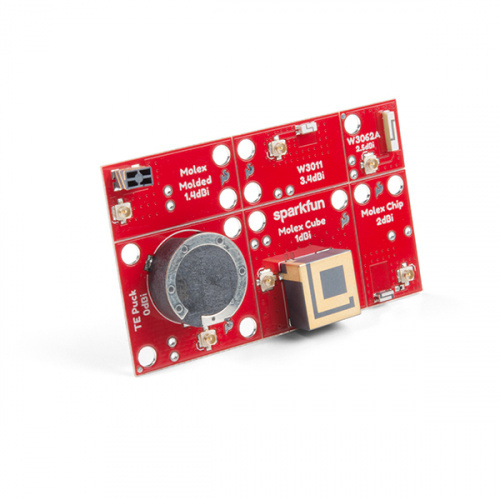 The SparkFun GNSS Chip Antenna Evaluation Board makes it easy to test various GPS antennas and geometries. Six different chip antennas have been populated on this board, each with a U.FL connector to attach your chip to the antenna! We've even v-scored the board so you can snap the six antennas apart and just have the one you need. 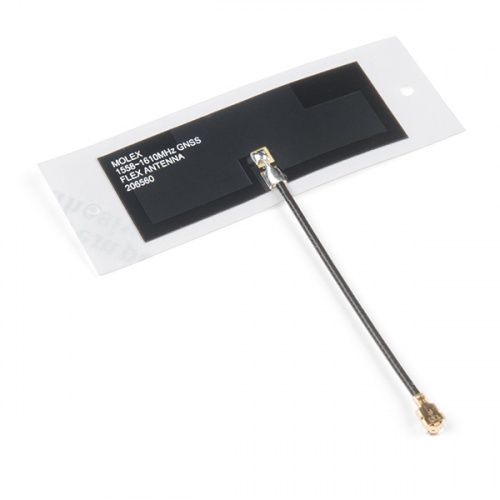 The Molex GNSS Flex antenna is paper-thin, makes a great option for basic GNSS applications, and will work with any of our GNSS boards equipped with a U.FL at a fraction of the cost of many of its big brothers. This antenna supports GPS, Galileo, BeiDou and GLONASS in three different frequency bands (1561 +/-3MHz, 1575 +/-3MHz, 1602 +/-3MHz). This 3W per channel, Triple Output High Power RGB LED is sure to shed a lot of light on any project you add it to. So much power and light from such a small package. 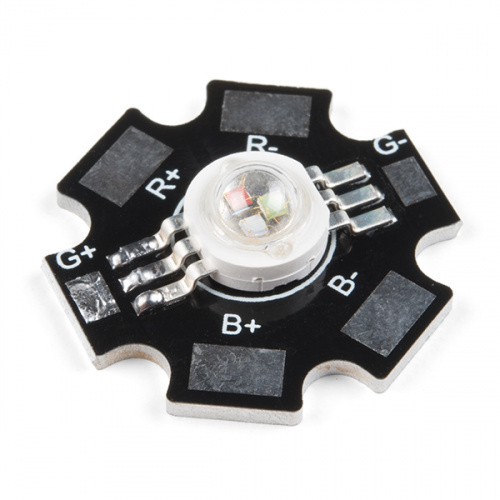 This 3W-per-channel, Triple Output High Power RGB LED is sure to shed a lot of light on any project. This LED acts as any other, except it requires much more power while delivering a light that is incredibly intense. That's it for this week! Make sure to join us next week as we celebrate the start of a certain famous fantasy show's final season! As always, we can't wait to see what you make! Shoot us a tweet @sparkfun, or let us know on Instagram or Facebook. We’d love to see what projects you’ve made! A few years ago, I was involved in a group that was putting together balloon launches. Every launch involved GPS receivers (helped in recovery -- position reported via Amateur Radio), and most payloads also had their own receivers (for datalogging). One problem was the limitations of the then-available "affordable" module. These modules look VERY attractive!